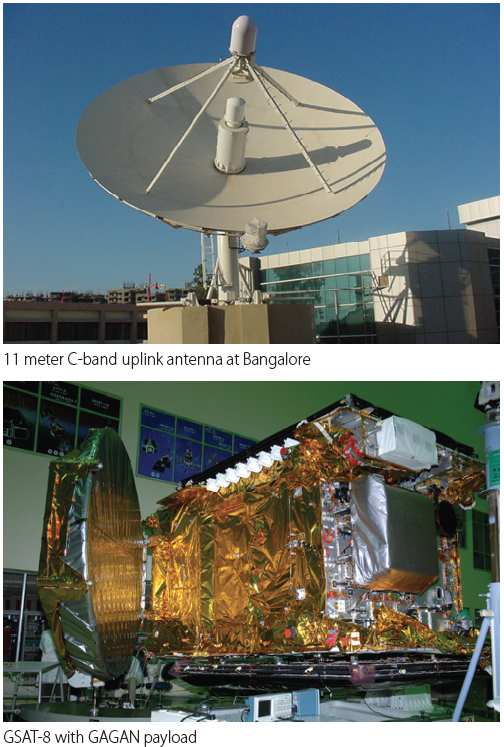 The communications satellite that carries India’s GPS-Aided Geo Augmented Navigation (GAGAN) system has been positioned, according to major news sources in India. "The initial phase is now over. The satellite is now in position," Airports Authority of India chairman V.P. Agarwal said at a New Delhi workshop on aviation safety. "We are now going through the certification stage of the Satellite-Based Augmentation System (SBAS) and we will have certification of the system by June 2013." he said, according to reports. India’s first GAGAN navigation payload on the GSAT-8 communications satellite was launched successfully from the European space center in Korou, French Guiana last May 21. It was the first successful launch for India’s SBAS, which will be used for air traffic navigation over the Indian subcontinent and surrounding region.